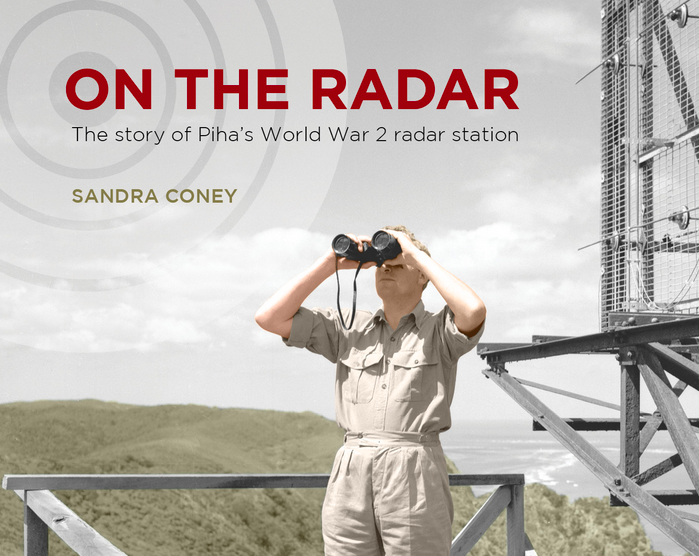 On the Radar tells the story of Pihaâ€™s World War 2 radar station, where the new high-tech weaponryÂ of radar scanned the skies for signs of invading Japanese and the seas for submarines. One of aÂ coastal network, reporting to the secret nerve centre at the Epsom Filter Room, the Piha station wasÂ a key part of New Zealandâ€™s home defence. This is also a book about a place and the connections between its ancient past, its history and itsÂ present. The high hill on which the station sat was sacred to Maori, a place where supernaturalÂ feats were performed. In the 1940s, experiments were conducted here, now acclaimed as laying theÂ foundations for the modern science of radio astronomy. On the Radar will be a revelation for readers, containing much new material about strangeÂ happenings at New Zealandâ€™s best known beach, along with over 170 previously unseen images. Sandra Coney is a well-known writer with a deep love of the West Coast. She represents WaitakereÂ on Auckland Council.